Piera is recognized as one of the most creative people in the world of media and content. Whether you're among Refinery29's half billion global community-members or not, there's a lot from Piera's lessons on creativity that you'll be able to apply to your own work and life. 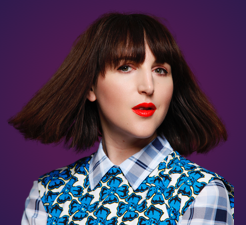 Piera Gelardi is Executive Creative Director and co-founder of the award-winning digital media company, Refinery29. She leads a growing team of creatives who bring the brand to life online and IRL through diverse, original content, storytelling, and experiences meant to empower and inspire women. She and her team have won numerous awards and honors including CLIO Image, Webby's, Digiday Publishing, and spots on both Inc 500 and Fast Company's lists of most innovative companies. Piera was recently honored as one of Ad Age's 50 Most Creative People of the year. In 2014, Piera co-authored Refinery29's first book, the New York Times best seller, Style Stalking. She is also a frequent public speaker, a jury member for the CLIO Image Awards, the Webby Awards, and the Art Director’s Club, and holds a seat on the AIGA/NY Board of Directors. Prior to the launch of Refinery29, Piera was Photo Director at CITY magazine, which won an ASME for Best Photography as well as numerous SPD awards under her direction. When she's not burning the midnight oil at Refinery29, she's breaking it down on the dance floor, gallery hopping, religiously sending snail mail, or indulging her love of adventures in far-flung places. Piera lives in Brooklyn.